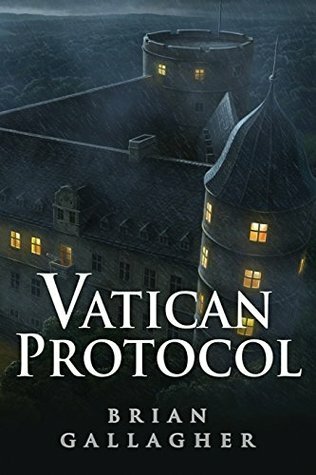 A mystery novel that tackles uncomfortable issues with a splash of adventure is what readers will find within the pages of The Vatican Protocol by Brian Gallagher. This book contains all the basics of a mystery: intrigue, conspiracies, subterfuge and best of all, aliens. Whether or not the aliens are real and what relationship they have to the story that is told is up to the readers to discover. It’s a grand journey that crosses over the Atlantic Ocean to Europe in search of answers. Almost Indiana-Jones-esque, this adventure will surely have readers turning those pages to discover just what the relationship is between these aliens and the ever esteemed Vatican church. The answer might just surprise all who pick this up. We follow our protagonist, Sean O’Sea, as he begins his journey from his comfortable home to Europe where his life is placed in jeopardy several times. It’s not a good action story without some sort of armed confrontation. Sean seems like a regular man with very irregular friends as he pursues his latest obsession with alien theories and whether or not there is any truth to the stories that have been told. He’s a likeable character and his ‘everyman’ flavouring will allow all readers to feel a bit of them in him. This allows readers to connect with the story on a more personal level and demonstrates the clever wordsmithing at play. The cast of characters is easy to keep track of even if it may seem like there are a few more than necessary. The small downfalls of this book is the dialogue and how convenient everything seems. There are points in the novel when characters are conversing between themselves and their words seem stilted and forced. As if they are speaking just for the sake of speaking. This detracts slightly from the overall tone of the novel, but it is easy to move past. As for the convenience of everything, this could just be a story element to help solidify the conspiracy flavour of the book as a whole, but it seems contrived in some areas. Our protagonist just happens to have a summer home that is looked after by a man who just happens to have worked with the CIA on top secret missions. Our protagonist also just happens to make friends with some very influential people during his travels and just happens to uncover a massive plot while being an ordinary man. Perhaps this is what makes a great conspiracy tale, however it felt a little too easy. But these are minor and don’t take away from the joy of reading. For readers who enjoy reading conspiracy theories that involve the church and global cover-ups, you will definitely find an enjoyable read in The Vatican Protocol by Brian Gallagher. This action story knee-deep in such a controversial subject is entertaining to read and the twist at the end will have all readers questioning exactly what transpired in the pages of the book.